The Toronto-based economist Don Thompson can be counted on for an opinion on the contemporary art market—after all, he wrote the book on it, three times over. 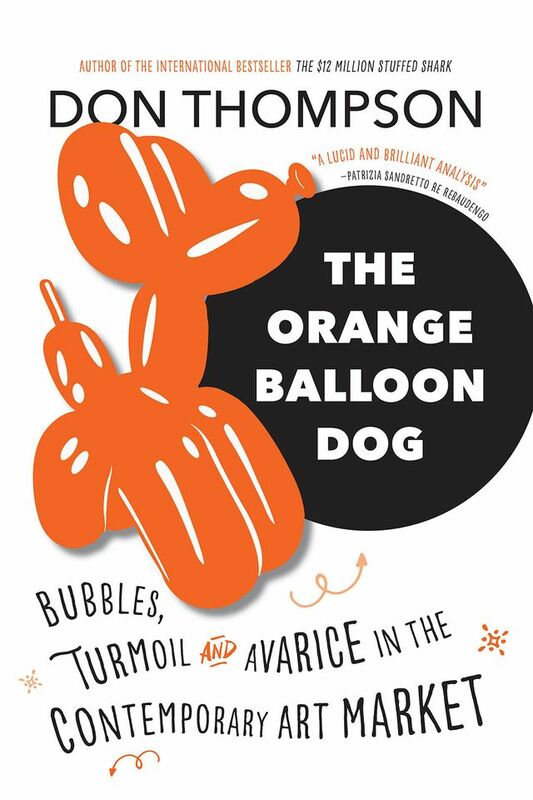 Having tracked the field’s evolution in The $12 Million Stuffed Shark (2010) and The Supermodel and the Brillo Box (2014), he now turns a sceptical eye on recent developments in The Orange Balloon Dog: Bubbles, Turmoil and Avarice in the Contemporary Art Market (released this month in the UK). On the occasion of the latest book’s UK release, Thompson gives his view of the Salvator Mundi, and makes a few predictions for 2018. The Art Newspaper: What do you make of the $450m Leonardo sale at Christie’s in November 2017, a sale that happened too late to be included in the new book? Don Thompson: Let me quote Loïc Gouzer, the chairman of Post-War and contemporary art at Christie’s in New York: “Salvator Mundi is a painting of the most iconic figure in the world by the most important artist of all time.” It is also the most publicised rediscovery in the 21stcentury. Leonardo created only 19 or 20 paintings in his lifetime. Fifteen are known and in museums. Salvator Mundi was promoted by Christie’s as theonly Leonardo remaining in private hands. That is not quite true, and Christie’s knew it, but it is close. There is at least one other, The Madonna of the Yarnwinder (“Madonna of the Spindles”), owned by the Duke of Buccleuch but on long-term loan to the Scottish National Gallery in Edinburgh. There are, for example, no Leonardo paintings in North America, Asia or the Middle East [as yet]. Was Salvator Mundi over cleaned and heavily restored? Yes (it is, after all, 500 years old). Is it authentic? Many experts have said there was enough of the master’s hand involved for the work to qualify. The painting was included in London’s National Gallery 2011-12 exhibition, Leonardo da Vinci: Painter at the Court of Milan, following several years of research as to authenticity. For a museum wanting an iconic work to represent its brand, or a billionaire collector seeking a trophy work, this was the opportunity of a decade. The last time a missing Leonardo was rediscovered was in 1909 with the Benois Madonna (1478), now in the Hermitage in St. Petersburg. If another of comparable quality were to be found, the best guess is it would sell for more. TAN: If you had been able to include that sale, would it have changed the book dramatically? DT: There were several aspects to the sale that might have filled a separate chapter. I would have expected Salvator Mundi to be offered in an Old Masters sale. It was instead offered in Christie’s Post-War and contemporary evening sale. The auction house said that was because of “the enduring relevance of this picture.” Right. It was because an evening contemporary art auction is where the largest assemblage of wealthy buyers is found. Christie’s marketing was both brilliant and sometimes over the top. With possible concern by Muslim bidders in mind, Christie’s described the painting as of “a male Mona Lisa” rather than of a religious figure, about as awkward a misdirection as could be invented. Another question is how Salvator Mundi ended up at the new Louvre Abu Dhabi museum. The buyer was [believed to be] a wealthy Saudi. Was it gifted to the museum or, as is now speculated, was it leased? The idea of a museum moving up in the regional pecking order by leasing iconic works adds a whole new dimension to the art world. And then there was the $100m guarantee, which probably provided the guarantors with a profit between $50m and $90m for offering the guarantee–and cost consignorDmitry Rybolovlevthat amount. Given that many pre-auction estimates of Salvador Mundi’s selling price were in the $200m-$250m range, the guarantee was a very good investment. Will this sale price raise the level of the whole art market? No. Salvator Mundi was a unique buying opportunity and brought a unique price. It was a trophy for a museum looking for a branding focus, or for a collector for whom the price was secondary. It raised the ceiling for what we think a unique work can bring, but does nothing for the rest of the art market. TAN: What art marketpredictions do you have for 2018? DT: One, the trend of über-galleries becoming more dominant and some long-existing medium size galleries closing will accelerate. Two, museum-quality contemporary works will continue to bring record prices. The middle and low ends of the evening auction market will sag, in part because they will be burdened with overestimates. Three, artist exclusivity with a single gallery will be less common as the art market becomes more global. 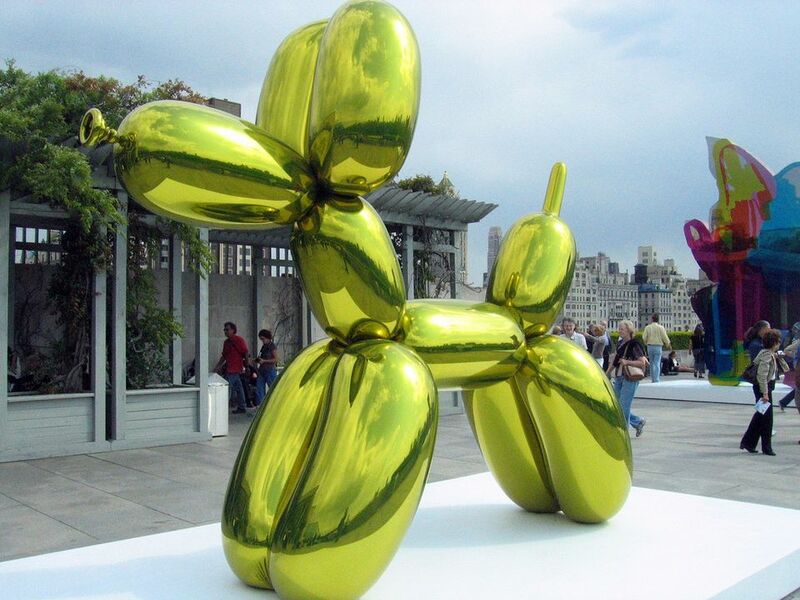 Finally, online sales of contemporary art will continue to grow at double-digit rates.